Georgia may be famous for its peaches, but its apples are just as delicious. Throughout the northern part of the state you’ll find plenty of orchards brimming with sweet, scrumptious apples just begging you to pick them. Act fast—apple season doesn’t last long at these seven best apple orchards in Georgia. You won’t find a better variety of orchard activities here. As the biggest orchard in Northeast Georgia, this little farm offers a rich history. The on-site bakery is chock full of fried apple pies, apple cider donuts, and apple fritters. 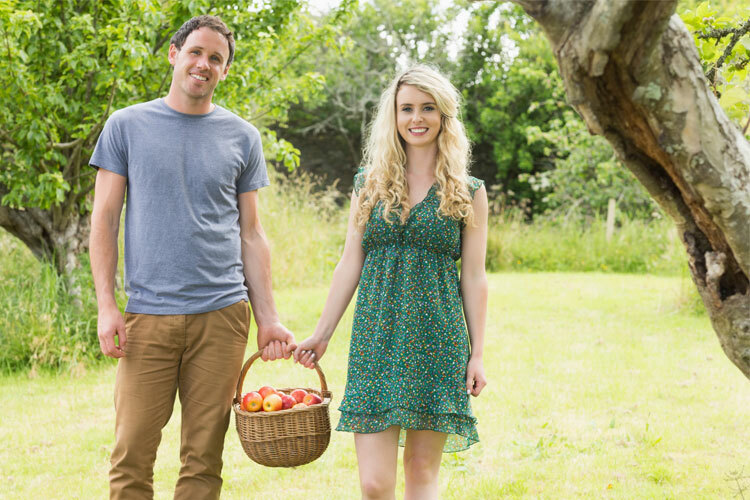 On weekends guests can pick their own apples and enjoy an assortment of other fun activities, like live music and dancing, a pig swimming race, and more. They also feature the only apple tree maze in the state. Owned and operated by four generations of the same family, Mercier Orchards is widely known for its u-pick events. They also use their own apples in their hard apple cider made on site. While you’re there, make sure you visit the deli for a tasty breakfast or lunch. From the last days of August through the end of October, u-pick apple season is in full swing. You can visit the orchard any day of the week and enjoy access to the market, bakery, and other fun farm activities. Don’t be in any hurry to leave—there’s plenty to see and do that will keep you and the kids entertained all afternoon. While this farm doesn’t host an open u-pick season, they do hold an occasional event that invites guests to pick their fill of apples from the farm. If you can’t make it to their designated event, stop in to the country store, where you can find their eight apple varieties, apple doughnuts, apple pie, apple cider, and apple sweet bread. Dedicated to everything apples from August through October, Red Apple Barn hosts u-pick events the whole family will love. You can tour the farm, enjoy a tractor ride, settle down for a picnic, and enjoy the play area. Guests get the best of both worlds here—pick your own basket of apples from the orchard or purchase some apples that someone else has already done the hard work for. While you’re here, you can pick up some delicious apple cider, pies, jams, and honey from the country store. This farm offers much more than pick-your-own apples. Here you can tour the farm by train or hayride, spend some time with the farm animals, enjoy the playground and barnyard, and even mine for gems. There’s also plenty of fresh fruit available in the country store, in case you don’t want to work too hard for your apples.